Lynn's talent includes painting and quilting, and here she combines both. Lynn has "quilted" using two sheets of metal and insulation. 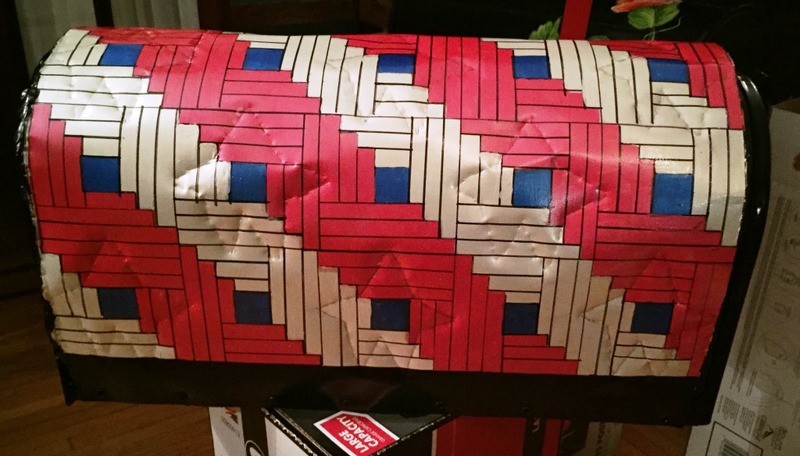 She then used the popular log cabin block pattern and riveted her quilt to the mailbox.